While Resident Evil 6 as a whole might have been a confusing mess of ideas, the score was top-notch. The Resident Evil games have always had excellent music, and the 6th installment was no exception. Blending action, horror and a neat sort of Bourne Identity sound all into one, not to mention bringing back some classic RE themes, it was awesome. Considering the ridiculous wealth of music that the game had- each of the four campaigns having their own distinctive sound and themes- this was quite the undertaking, and it shows with just how much music there is in the game. 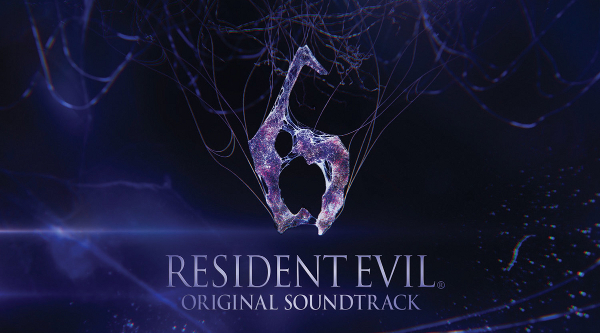 Sumthing Else musicworks has released the official Resident Evil 6 original soundtrack, totaling up to 34 tracks of Evil goodness, spotlighting several of the themes and action tracks, as well as a few custscenes, although honestly, I’m a little disappointed considering that the complete soundtrack (only released in Japan) is well over 200 tracks. It’s not uncommon that complete soundtracks don’t get released, but after Resident Evil 5‘s 3-Disk soundtrack I expected… a little more. That’s not to say that Sumthing Else’s digital soundtrack isn’t awesome to own if you aren’t able to access Japan’s complete score, but it’s more of a “best of” than a real soundtrack. Of course, it’s better than several other RE games have gotten. Resident Evil 0, which has probably my 2nd favorite score in the entire series (next to RE4) never even saw release, and can only be found through fan bootlegs, although a few tracks came on the Resident Evil 10th Anniversary album. I’d say that Sumthing Else Musicworks’ downloadable soundtrack is an awesome addition to any RE nut’s collection, and $9.99 isn’t bad, but if you’re a little more diehard of a fan, it might be worth your while to seek out the Japanese soundtrack instead. The OST is available on Amazon, iTunes, and Sumething Else.